My Zabbix database size increased a lot in the last few months and since my disk was running out space, I decided to clean up the old events from the database. Looking at the database tables, the biggest one was history_uint, which holds the items history data – over 400 millions of records and over 30 Gb of disk space before the clean up. Since deleting the old records from this table directly would be a very slow process, I decided to create a new table and insert the latest records from the history_uint table and then just replace the old table with a new one. Since this is not an offical procedure, use it at your own risk. First you need to decide how many records you need to keep. Please note, that the history data in graphs will still be available since trends data is stored in a different table. I decided to keep the data for the last 3 weeks. The event time is in UNIX-time (aka POSIX-time or Epoch time) format, so you need to calculate the date and time of the event you will start with. There is a tool available to do this calculation for you - Epoch Converter. For example, if you decide to keep all the events from the Mon, 20 Oct 2014 00:00:00 GMT on, the Epoch time would be 1413763200. Additionally you can update the items table and set the item history table record to a fewer days, so Zabbix will do the automatic clean up before the table size gets too big. Let's continue with the last article about tuning Zabbix to improve its performance. First of all, I am going to set the suitable kernel parameters into the sysctl.conf file. 1. Go to System > Network > Interfaces and select Interface want to configure DHCP relay. 3. For Mode, select Relay. 4. In Type select Regular. 6. If a router is installed between the FortiGate unit and the DHCP server, define a static route to the DHCP server. Note : Sometimes it is required to specify more than one DHCP relay IP, to allow for the coverage of additional LAN subnets. Although the Web Based Manager (GUI) does not provide an option to configure this, it is possible to set up to 8 IPs from the CLI. 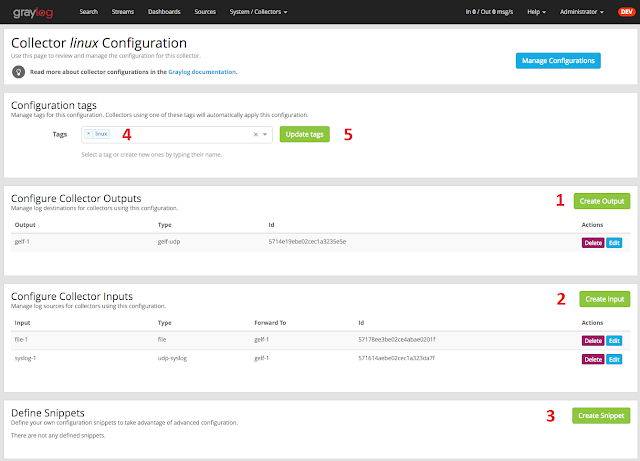 The Graylog Collector Sidecar is a supervisor process for 3rd party log collectors like NXLog. The Sidecar program is able to fetch configurations from a Graylog server and render them as a valid configuration file for various log collectors. You can think of it like a centralized configuration management system for your log collectors. Installation Download a package and install it on the target system.